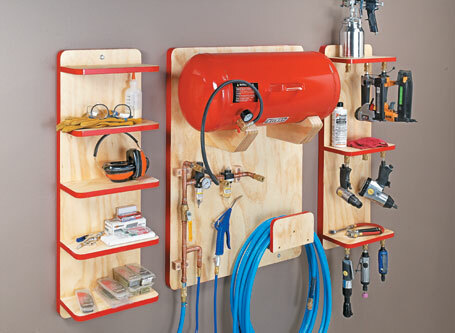 Give your air tools a home of their own and all the air they need to achieve maximum performance. 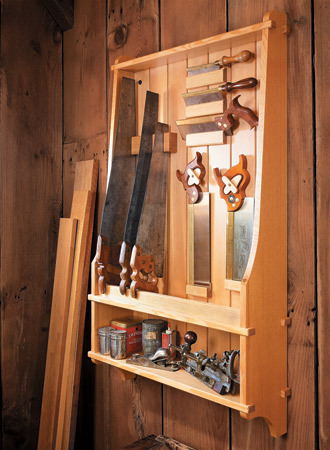 Searching for a permanent fixture to house your collection of hand tools? 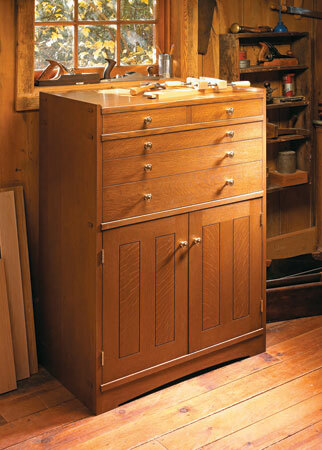 Then look no further than this great-looking cabinet. 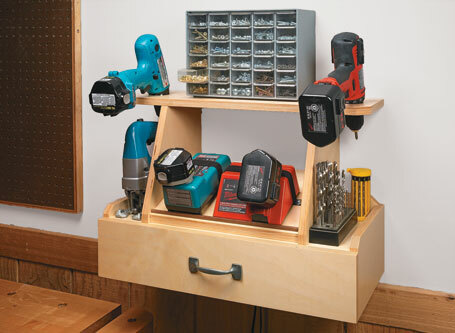 This compact station keeps cordless tools, chargers, and accessories within arm’s reach. 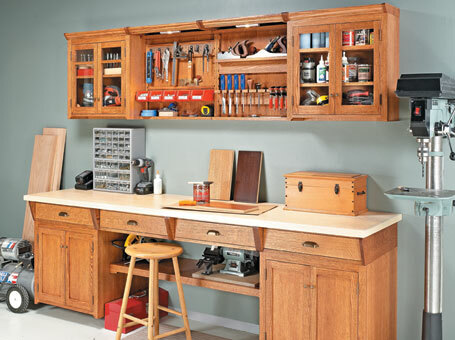 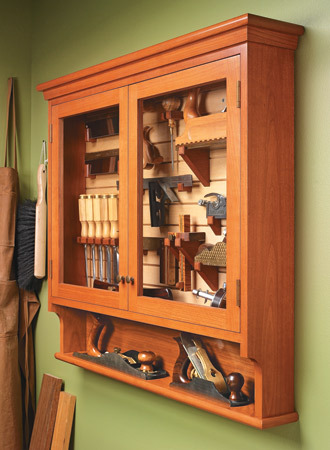 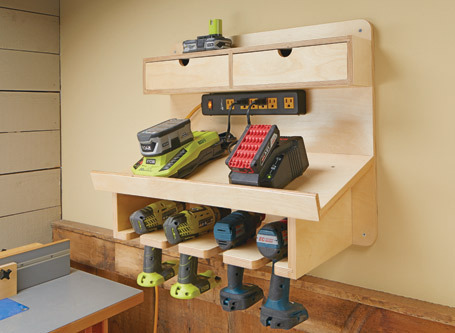 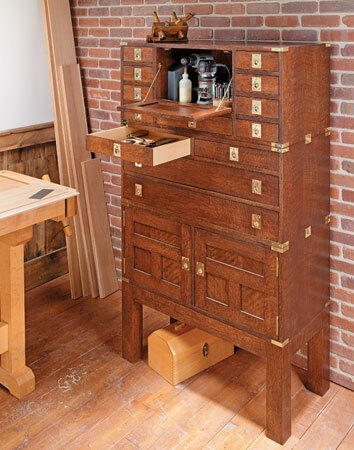 This easy-to-build cabinet is the perfect place to organize and show off your fine hand tools. 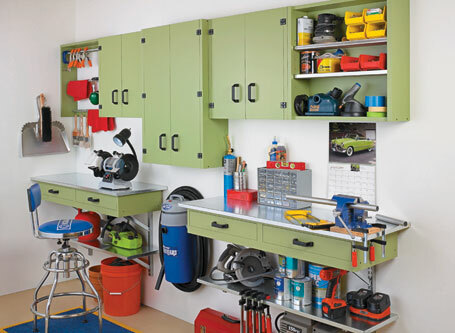 You’ll be surprised at the amount of hardware and supplies you can corral in this wall-hung storage center. 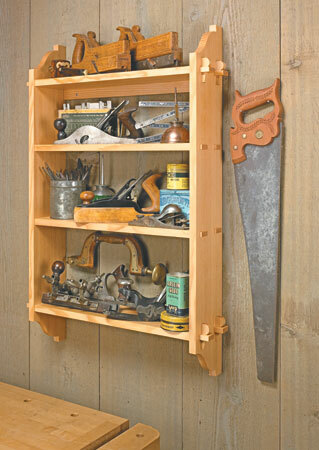 This wall shelf has joinery that gives it a traditional look, making it the perfect home for shop tools or display pieces. 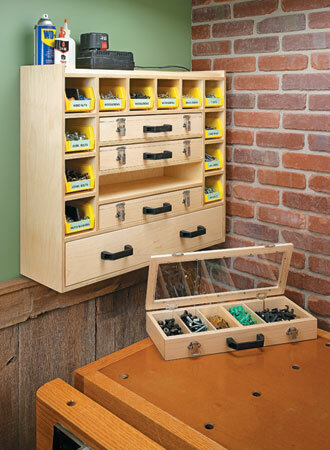 Inexpensive and easy to build, this wall-mounted system is a great way to add versatile storage to any shop. 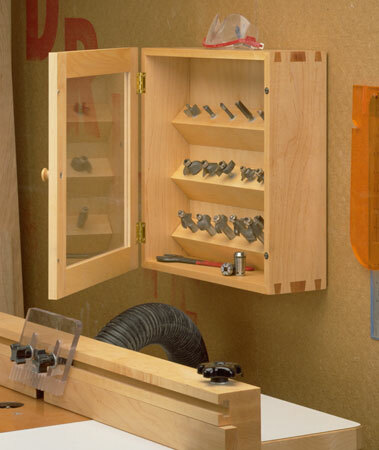 Mix and match components to build a workshop storage system that perfectly fits your space and needs.